Screening may provide an early signal of a health problem in a child or adult who is not sick at the time of testing per se. It does not provide a definitive diagnosis, but rather suggests that he or she should receive further testing. 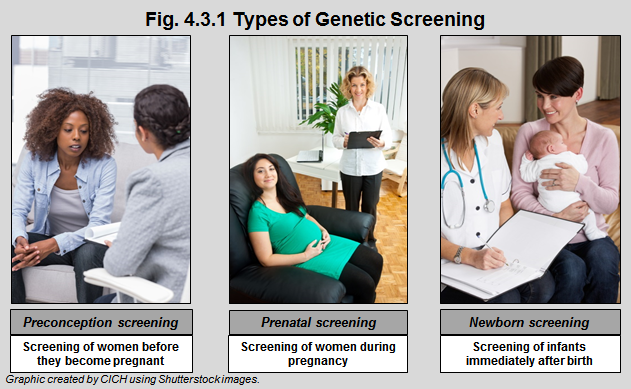 There are different approaches to genetic screening depending on the population and the stage of life.